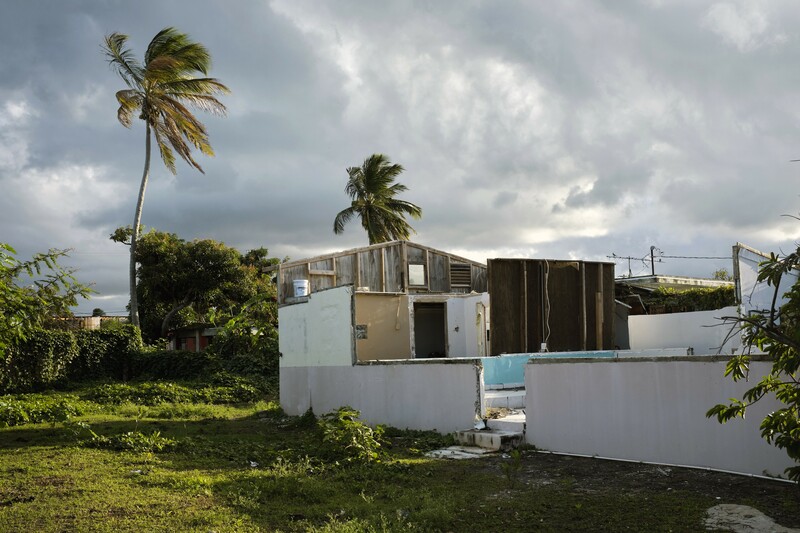 A church destroyed by Hurricane Maria in Guaynabo, Puerto Rico, is still in disrepair in this Jan. 16, 2019 photo. FEMA and other agencies have so far distributed $11.2 billion in aid to Puerto Rico. Trump’s latest invective toward the local leaders of an island devastated by a hurricane in September 2017 came in a torrent of tweets, which began Monday night and spilled into Tuesday morning. Trump was reacting after the Senate on Monday blocked billions of dollars in disaster aid for Midwestern states, in part because Democrats said a proposed $600 million in nutritional assistance to Puerto Rico fell short. “Puerto Rico got far more money than Texas & Florida combined, yet their government can’t do anything right, the place is a mess — nothing works,” Trump wrote on Twitter. He also stated, incorrectly, that Puerto Rico had received $91 billion in aid from the federal government. Gov. Ricardo A. Rosselló of Puerto Rico, a Democrat, responded to Trump in a tweet of his own Tuesday. “Mr. President, once again, we are not your adversaries, we are your citizens,” Rosselló wrote. Trump has long been sensitive when it comes to the subject of Puerto Rico, where the U.S. government’s response to Hurricane Maria was widely criticized as too slow. Aides and allies said Trump had vented privately that Puerto Ricans had complained too much, and he had also noted privately that Hurricane Maria, which killed 2,975 people as a result of the storm and its effects, was not as bad as Hurricane Katrina, in which fewer people — 1,833 — were killed.